It is clear in Victoria that positive programs of energy efficiency and encouragement of renewables are insufficient by themselves for strong climate action. We need to close down the high emissions intensity of brown coal electricity generation, it is the elephant in the room. 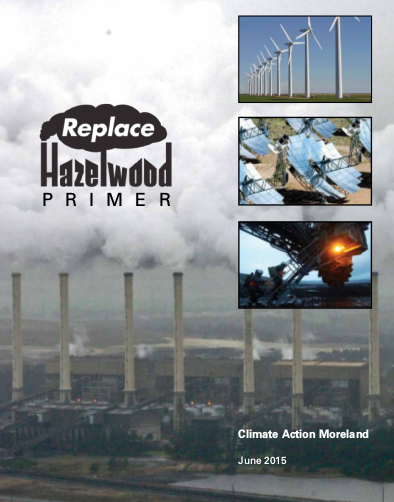 Climate Action Moreland has actively campaigned to close down the Hazelwood Power Station since 2009, including producing a brief history of Hazelwood. 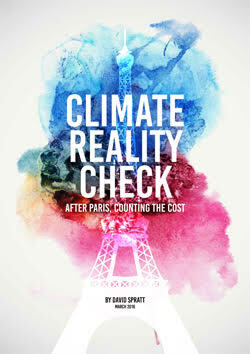 This primer to Replace Hazelwood is written by David Spratt from Climate Code Red, provides timely information on why The Victorian Labor Government should act to close Hazelwood. • The Victorian Government has expressed a desire (though it does not yet have a policy) for a significant expansion of renewable energy in Victoria. This has widespread community support and must be done quickly and at a large scale because climate change is already dangerous. Scientists warn that two degrees Celsius of warming could occur in just two decades, so preserving a safe climate and a healthy future requires rapid de-carbonisation. • Expanding renewable energy requires coal-generating capacity to be removed from the market because oversupply is crowding out and preventing new investment. The Australian energy market operator says there are about eight gigawatts of surplus generating capacity across the national market, equivalent to five Hazelwood power stations. This includes up to 2.2 gigawatts of brown coal generation that is no longer required in Victoria in 2015, which is greater than Hazelwood’s capacity. Power companies have been lobbying government for capacity to be reduced, and senior Victorian energy department bureaucrats are aware of the need to close coal power stations in order to roll out renewables. • The Victorian Government has committed to being a leader on climate change. Closing down excess coal generation is a key test of the government’s climate credentials. Coal-fired power stations are the world’s largest source of planet-warming carbon dioxide emissions. Victoria cannot make the necessary emissions reductions without addressing the operations of Hazelwood and/or Yallourn power stations. • Hazelwood power station is old, unsafe and dirty. Based on emissions intensity, it is the third-dirtiest coal power station in the world and the dirtiest in Australia, releasing around 16 million tonnes of greenhouse gases annually, almost three per cent of total Australian greenhouse emissions. The Hazelwood majority owner, Engie (formerly GDF Suez), owns the third-most polluting coal-power station fleet in the world. The full – health and carbon pollution – social costs of Hazelwood totalling $900 million per year are borne by the community, rather than the plant’s owners. • A steady stream of local jobs can be created in the Latrobe Valley with the rehabilitation of mines and decommissioning of plant, which will require a significant workforce stretching well over a decade. The Latrobe Valley needs a strong jobs package and an economic transition plan and new industries because the move from coal to clean wind and solar renewable energy is now both urgent and inevitable. • Hazelwood power station and mine are a health hazard to local residents, exemplified by the autumn 2014 mine fire. The owners of Hazelwood have abused their social licence and forfeited the right to profit from a power station that is now a major health hazard – both to local people and to all peoples who face the uncertainties of living in a hotter and more extreme climate. • In July 2010, the Victorian Labor government promised to start shutting Hazelwood and passed climate legislation providing the reserve power to regulate emissions from existing brown coal-fired generators. 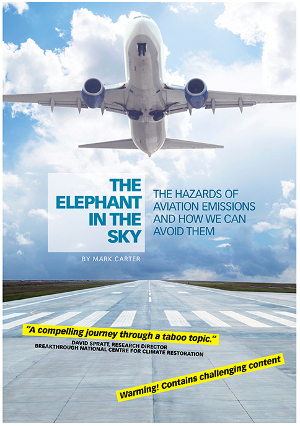 Restoring the government’s capacity to regulate emissions would be complementary to actions being taken by other governments, including in the United States and Europe. Entry filed under: campaigns, Hazelwood, Repalce Hazelwood, Replace Hazelwood, Victorian Government. Tags: climate change, coal, Hazelwood, Hazelwood power station.